Plant-based meats are finally taking off: animal-free beef is popping up everywhere from high-end burger joints to, uh, biochemical research facilities. Fine, plant-based and 3D-printed burgers, steaks, and chicken cutlets haven’t quite yet liberated the world’s livestock. But the technology behind these scientific snacks is progressing — with enough support, food researcher Jacy Reese predicts in a new book that we could replace a good chunk of traditional meats in a matter of decades. If we want to prevent catastrophic levels of global climate change, we need to farm and eat less meat. 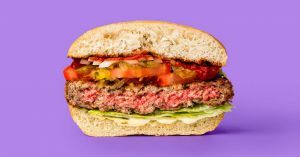 The various startups working on fake meat, perhaps the most famous of which is Impossible Foods, are pursuing an ambitious workaround: bringing cheap, sustainable food to the world without completely making people give up meat. “In addition to contributing towards decreasing the effect of livestock on climate change, desertification and avoid animals slaughter, the development of these kinds of technological advances should help the populations living in the rural areas of our planet to have better access to healthy food and a varied diet,” Giuseppe Scionti, a biomedical researcher who found a way to 3D print realistic chicken cutlets and steaks, told Futurism. But major governments need to step in if these plant-based meats are ever going to get out of bougie restaurants and into the hungry mouths of the world. Without massive structural investments, Fast Company’s reporting corroborated, plant-based meats will be stuck as a fad diet and may never become widespread and inexpensive enough to help the world.